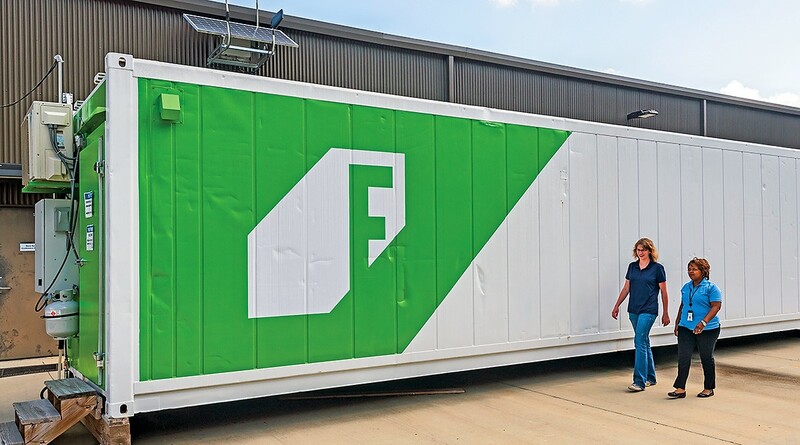 Alabama Power’s penchant for pushing the innovation envelope can be seen in a refurbished Freight Farms shipping container outside the Technology Applications Center at the General Services Complex in Calera. 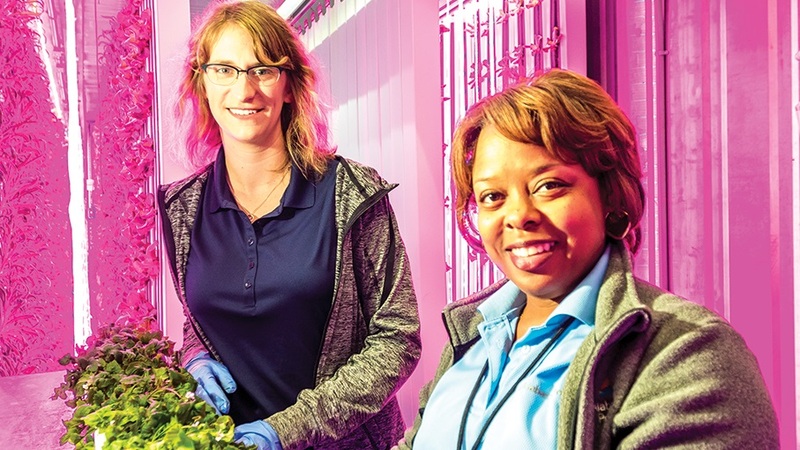 Employees are growing lettuce and other vegetables, herbs and edible flowers in an insulated container retrofitted with LED lighting and climate-control equipment. The plan is to see if the cost of using electricity to power the new frontier of “indoor agriculture” is feasible compared to traditional agriculture. Crops could be grown in a controlled environment year-round with nutrients in circulated water without soil and few or no pesticides. Crops could be grown in urban settings and areas classified as food deserts (locations where fresh food is not easily accessible). Transportation costs could be drastically reduced or eliminated, as food could be grown near consumers and stores. Indoor farming can produce 12 more lettuce harvests a year, and uses up to 90 percent less water, than a traditional outdoor farm. Energy-efficient LED lighting and other components can be programmed for off-peak hours to take advantage of cheaper electric rates. With electricity needed to operate the lighting and climate control systems, indoor farming could usher in a new stream of opportunities for the company. From an economic development standpoint, vacant warehouses or buildings, including those with existing utilities, could be repurposed for controlled-environment agriculture, providing jobs for Alabamians. Other advantages include growing during drought or excessive rainfall; producing fruits and vegetables not native to a geographic area; and uninterrupted growing seasons. There is a viable market in Alabama, with $67 million spent on lettuce annually for households and about 70 percent of people buying organic products. 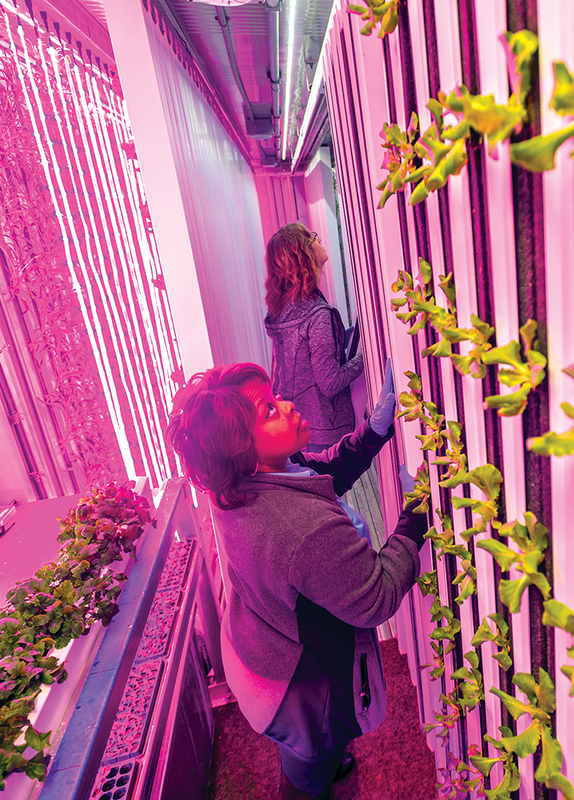 “Indoor agriculture can be a great addition to the already thriving agriculture industry in our state,” said Cheryl McFarland, Commercial and Industrial Marketing Support manager. But there are challenges. Like any new, fast-growing concept, scarce data is available to determine long-term pros and cons. High startup costs and unavailable labor could be viewed as making it a financial risk. Vague or unfavorable city laws could be a barrier to an indoor agriculture operation. 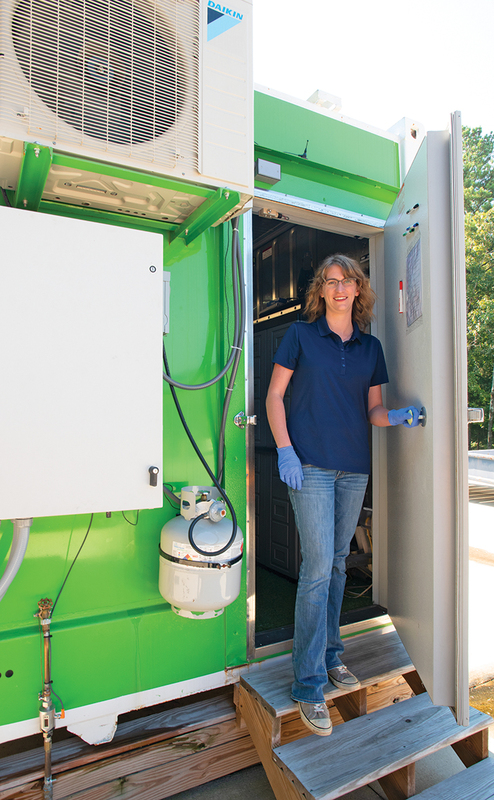 Exploring the container farm concept at Alabama Power originated from an increasing interest in indoor agriculture and the need to fully understand the benefits of using electricity to enhance the process. Alabama Power employees installed a 40-foot hydroponic container in January 2017 and began producing lettuce one month later. The container has a seed germination table and 256 vertical towers holding up to 17 small heads of lettuce each. Food production at the GSC is not limited to lettuce and includes basil, arugula, carrots, dill and radishes. Because of automation, the APC container is fairly self-sufficient. However, one to two employees with other work responsibilities spend a little of their time each week planting, harvesting and performing routine maintenance in the container. 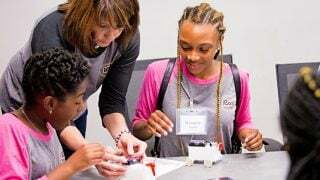 Alabama Power’s next move on the chessboard that is indoor agriculture is to assess produce production and water and electricity usage, then compare findings with similar projects within Southern Company.